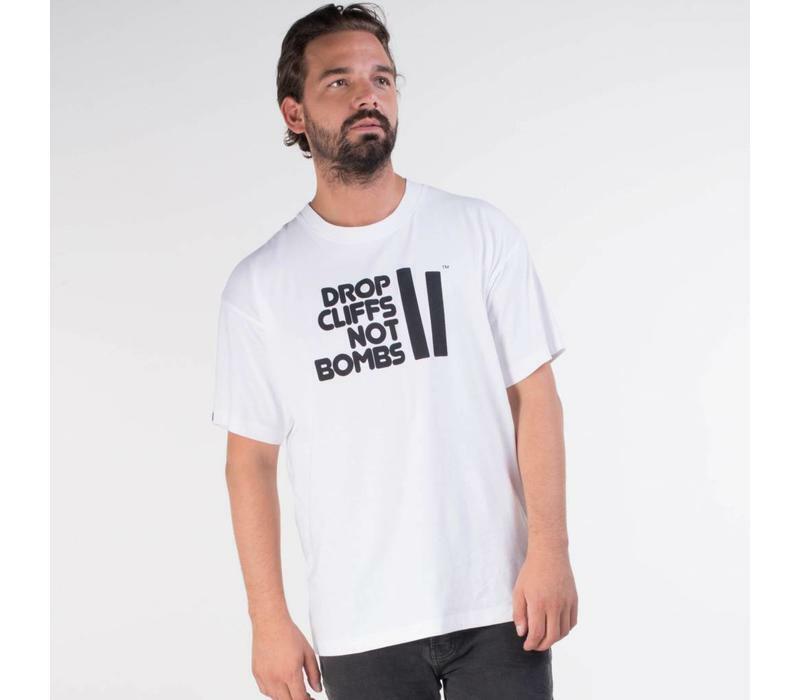 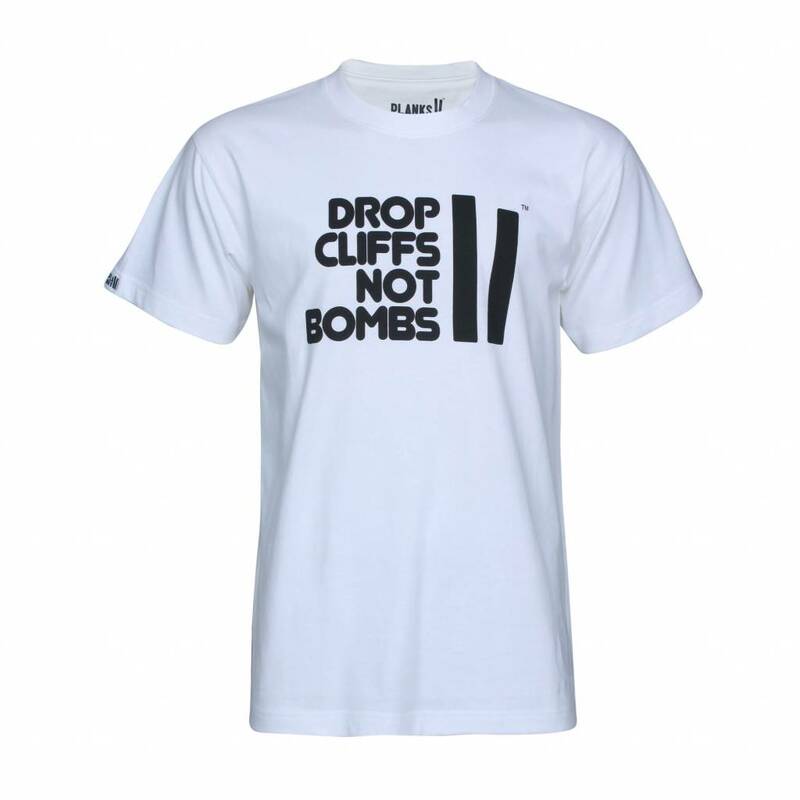 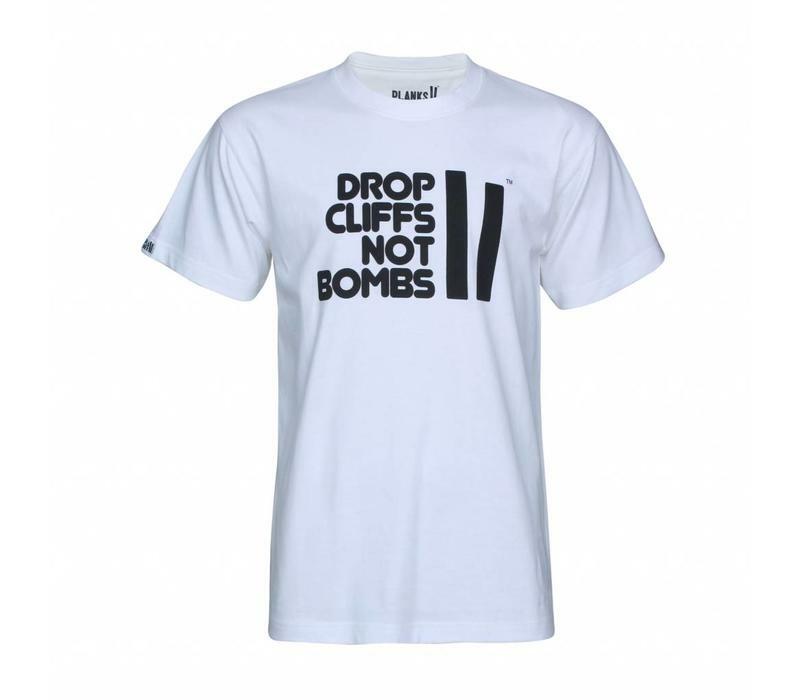 Spread the message in the Men's Drop Cliffs T-Shirt in White. Dropping bombs is not the way, drop cliffs instead! 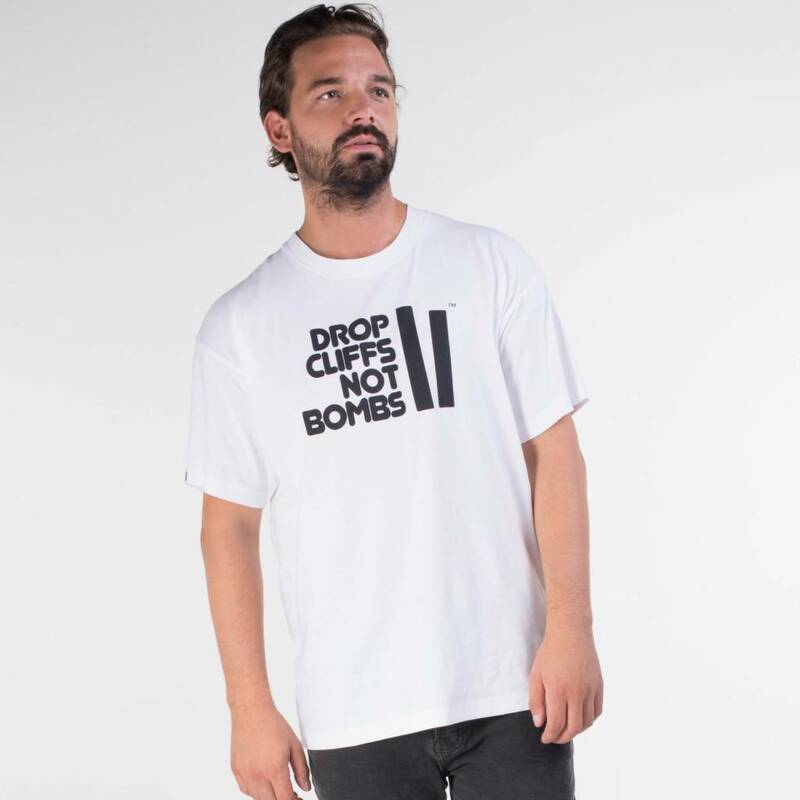 It's way more fun and a lot more friendly.